I have just had a new concrete pool made. Are glass tiles feasible for this? If so, are there any special materials that I should use? 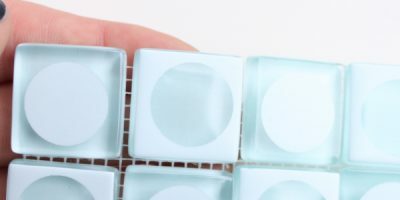 Glass tiles have become a very popular surfacing for pools, for at least two reasons: 1) glassy surfaces compliment the effect of water, and 2) glass tiles do not fade over time or discolor under normal conditions. 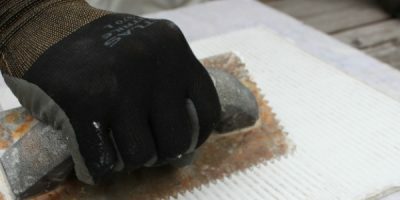 The underlying cement should be cured for at least 28 days, and free of cracks before you begin. Pools are harsh environments because of the chemicals used to keep the water clean; setting materials should be adadptred to these conditions mind. We often recommend the products by Mapei, but defer to your tile manufacturer’s specifications. You will also need waterproofing on the substrate. 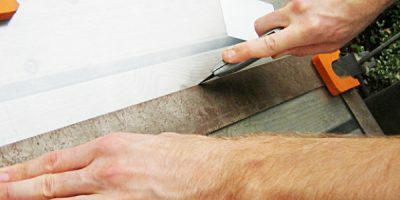 One reputable manufacturer of roll-on membranes is Schluter. Some membranes also have anti fracture properties, allowing them to buffer against substrate shifts. 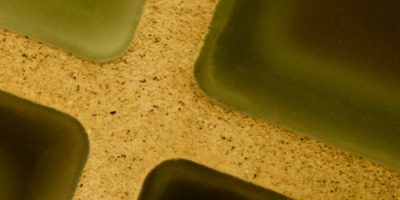 For wet areas, we generally suggest membranes that have waterproofing as well as anti fracture properties – especially when larger tiles are used. Consult with your tile manufacturer for advice on an installation method that they will stand behind. 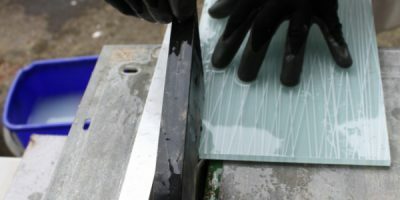 Can I use glass tiles outside? Yes. Glass tiles, like windows, work well outdoors. They are non- absorbent, and have a very high tolerance to freeze/ thaw conditions. They are also very resistant to acid rain and the fading caused by ultra violet rays and chemicals. Like any glass, they should be installed away from places of violent or sharp impact. 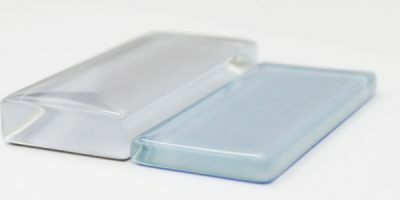 All sizes of glass tiles may be used outdoors. Mosaics are often used in pool and fountains, where they can be shaped around the objects they cover. Large glass tile may be used in walls and floors, provided they are not exposed to high impact and meet slip resistance criteria for floors. 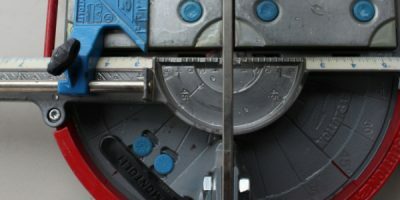 In all cases, proper construction methods must be observed, such as installation over stable substrates, the use of flexible thinsets, proper use of expansion joints and crack suppression membranes. Consult your manufacturer for details. 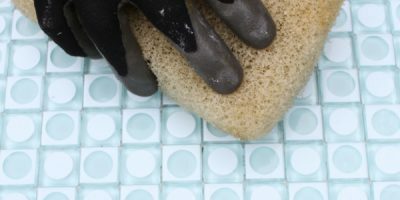 Can I use glass tiles on floors? 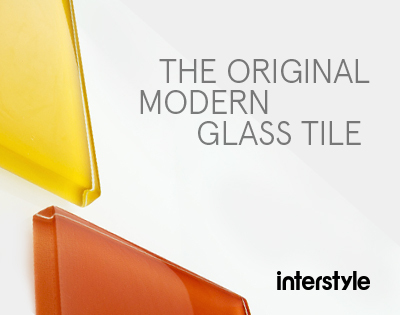 There are several glass tiles suitable for floors on the market today. Be sure that the tile is actually indicated for floors, with adequate slip resistance built into the tile. The manufacturer will specify floor-rated tiles.